The author bemoans Bellow's remark on Rushdie trying, unsuccessfully, to do an Ulysses on the Islamic world as Orientalism but that does not take away from the truth of Bellow's assertion. By claiming that Rushdie's pariah-like status has something to do with the West's supposedly blinkered view of Islam, the author does great disservice to the right of free speech. Rushdie is very much an "Indian" writer in the themes that he explores. His exile in the West is a necessity borne out of the vicious and threatening tirade against him. And to compare the Rushdie affair with the situation in Kashmir is patently laughable. Here is s country where an Arundhati Roy can foster secession by urging Kashmiris to "get azaadi (freedom) from bhookey nangey (impoverished) Hindustan" in the heart of Delhi. Forget violence, not an iota of trouble visits her. Remember, his last was 'Foreskin's lament'! ... Transterrestrial Musings - Time To Get Religion Out Of Science Classes. I have a modest proposal. Instead of promulgating either the Christian religion, or the Green religion in our science classes, let’s get teachers who actually have degrees in science (as opposed to “education”), so they don’t need “teaching materials,” and teach kids how to do math (including statistics), think critically, and actually formulate testable and falsifiable hypotheses and test them, so that they will be inoculated to all religions, when it comes to learning science. ... as I've ever taken. ... Sir Walter Scott’s Ivanhoe: Did they take out the “J” word, too? | The Book Haven. Where did we get the idea that all reading must be easy reading? ... PhanArt - Jambandbootleg by Paul Siegell. ... Ten Reasons Not to Sleep with an Essayist - BREVITY's Nonfiction Blog. ... The Pope’s Life of Jesus | TLS. Benedict’s book ... is full of surprises. There is a welcome emphasis on the rootedness of Jesus and his followers in Israel’s Scriptures, something which older exegesis, both Protestant and Catholic, often passed over. The heart of the volume is an exposition of Jesus’s vocational understanding of his own death in terms of the Psalms and Isaiah, particularly the “servant songs” of Isaiah 42–53, leading to a clear statement of the cross as the moment of vicarious, substitutionary atonement. This, Benedict writes, “constitutes the most profound content of Jesus’ mission”. This is not a view that Protestants normally expect popes to hold. Some Roman theologians, I suspect, will be surprised as well. Franzen said he took comfort from knowing he will not be here in 50 years’ time to find out if books have become obsolete. In even less time than that, I won't have to hear about a new Jonathan Franzen novel being published. That's one good thing about being 70. ... Why Geology Matters, Part 4 | Books and Culture. This may be so for those who take up writing in order to get rich. John Jakes once told me that the thing that was most surprising when he had his first best-seller is how many people he met who thought it was his first book. It was, in fact, his 26th. I think most people who write do it for reasons other than becoming rich quick. ... Erika Dreifus’ Guide to Flash Nonfiction Markets - BREVITY's Nonfiction Blog. ... Secret Dead Blog: Kickin' Out Some Updates. ... Detectives Beyond Borders: Resurrection Man. ... He Told the Truth About China’s Tyranny by Simon Leys | The New York Review of Books. The award of the Nobel Peace Prize in 2010 brought the name of Liu Xiaobo to the attention of the entire world. Yet well before that, he had already achieved considerable fame within China, as a fearless and clearsighted public intellectual and the author of some seventeen books, including collections of poetry and literary criticism as well as political essays.2 The Communist authorities unwittingly vouched for the uncompromising accuracy of his comments. They kept arresting him for his views—four times since the Tiananmen massacre in June 1989. Now he is again in jail, since December 2008; though in poor health, he is subjected to an especially severe regime. ... Issa's Untidy Hut: Walking the Dog: Issa's Sunday Service, #128. ... Feel special, do I? Well... | Facebook. In many respects, being gay has been the most fantastic thing in my life. It has enabled me to chart my own course of social and personal development without having to fit in to the dominant model peopled by straights. ... The Art of the Obituary - Telegraph. ... Paul Davis On Crime: Authors Praise Joseph Wambaugh To Mark His 75th Birthday. ... The Washington Monthly - The Magazine - Boarish Behavior. Feral pigs have been devastating the American landscape since they were first introduced to this continent by European explorers in the 1500s. Some people call them razorbacks, or wild hogs—and, like the John Travolta movie of the same name, you will have trouble finding anyone with a good word to say about them. They ravage every ecosystem into which they’re introduced. They can grow to 500 pounds. They reproduce rapidly, and can begin breeding when they’re only eight months old. They’re violent and dirty and ugly and omnivorous—and they are everywhere. It's not surprising that Van Gogh found transcendence in a "blade of grass"—an image he perhaps borrowed from the Calvinist critic Thomas Carlyle. And Van Gogh was not the only artist possessing a Zen-like zoom lens. Ms. Kienle might as easily have name-checked T.S. Eliot, who writes in "Four Quartets": "We must be still and still moving / Into another intensity / For a further union, a deeper communion." ... Transmissions from a Lone Star: Learn Japanese the World War II Way! | Columnists | RIA Novosti. Despite, or because of, the riots the play was a great success. Jarry, however, proved unable to renew himself. Novels and plays, full of brilliant phrases and scenes poured out from him over the next decade, but these tended to rely on incidents in his own life made "Jarryesque" by crude satire and a liberal use of expletives. A huge play, based on the Renaissance satirist Rabelais, kept being rewritten, first for marionettes, then as an operetta. Nothing came of it. ... Swithering: A Severed Head by Iris Murdoch. The unrecorded past is none other than our old friend, the tree in the primeval forest which fell without being heard. I've just finished Alan Furst's The Spies of Warsaw, a work of historical fiction set between the wars. My response to this book was mixed. On the one hand, you can't go wrong with the interwar period, particularly in Europe: it's the perfect backdrop for a novel involving espionage, diplomacy, and yes, romance. To a certain extent, Furst is successful is his use of this backdrop: his characters are interesting (or interesting enough) and a few of them engage in meaningful musings on history and the events leading to 1939. Despite the praise heaped on this book by critics like Jonathan Yardley, I ultimately found it to be a novel in search of itself. Furst follows a number of a plot twists toward something approaching a climax, but when this climax comes, it's doesn't pack the punch that we might expect after more than 200 pages of intrigue. In addition, there was something, I felt, that was contrived about Furst's book: it's tricky work, I recognize, to successfully integrate historical realities into fiction, but there were moments in this novel that Furst's characters spoke in a way that was too didactic, too instructive - as if Furst were offering his readers the background they would need to fully appreciate the dialogue he'd constructed. Perhaps this is necessary, but there are other writers - including Hilary Mantel, whose work immediately comes to mind here - who weave the past into their narratives in a manner far more effective (and seamless) than does Furst. Still, this was a fun book to read, and I credit Furst with getting a least part of the way toward evoking the energy - and anxiety - of that tremendous period of global history. ... The Annie Dillard Award for Creative Nonfiction -BREVITY's Nonfiction Blog. ... SinC25: Claudia Piñeiro, #7 post of expert challenge | Petrona. ... The Wilson Quarterly: Book Reviews: Papa's Beginnings by Michael Moynihan. ... Democracy: Skepticism Versus Cynicism | Mark Athitakis’ American Fiction Notes. ... Fear Itself: Books That Go Bump in the Night on AbeBooks. ... some scientists are proposing top-down, holistic explanations. Sheldrake's particular proposal is that such self-organising systems exist in fields of memory or habit. These contain the information required to make the structure. This sounds to as if Sheldrake is trying to adapt quantum physics to biology, packets of information corresponding to packets of energy. Actually, in the print version of the paper (to which I loyally subscribe) there is a roundup of books to look forward to this spring. Unfortunately, this is all I can find online: Volumes to delight. This let's you see pictures of some book covers. If anyone can figure out how to link to the story, let me know. "Even today the very educated ­papers still try to abuse us," says ­Gilbert. "Our art is capable of bringing out the bigot inside the liberal, and the liberal inside the bigot. A taxi driver who thinks that all modern art is ­rubbish will say to us, 'It's good what you do, guys.'" 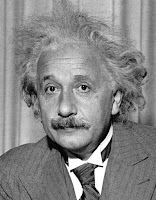 ... FuturePundit: Intellectual Interests Genetically Predetermined? A hallmark of the individual is the cultivation of personal interests, but for some people, their intellectual pursuits might actually be genetically predetermined. Survey results published by Princeton University researchers in the journal PLoS ONE suggest that a family history of psychiatric conditions such as autism and depression could influence the subjects a person finds engaging. But your family history does not determine what you actually encounter in life. You might well go through all of life without suffering any of the cited psychopathologies if you never encountered one or another of them as a subject that engaged you. A good many people these days do not seem to know that a proposition has to be examined from different directions, especially from the one directly opposite, the contradictory, the one that, if true, demonstrates the falseness of the other. In this case, I think both propositions state a complementary truth. Together, they merely move the question back a step. For it is hard to think of the response prior to the stimulus. It is the satisfaction derived from the stimulus that would have to be predetermined. This, by the way, is as far as I have got in reading this piece. I think it is worth reading because it lays out quite clearly a argument. But it is also worth reading slowly, taking time think about what it is being said. ... zmkc: In Praise of Censorship. The post is not really about censorship, but about prudence and taste. And no, newspapers and reporters don't really ask such questions. You print what you think people want to read. And sensationalism has a wide appeal. ... Writing is a life of poverty? Not. | The Book Haven. ... it is at least as irrational to be suspicious of something for no good reason as it is to accept it for no good reason; and at least in principle they want their suspicions as well as their beliefs to be well-grounded. And the only skeptic I've ever come across who appealed to such a ridiculously broad consideration as Baggini has here is Julian Baggini. And suspicion is as much a subjective experience as anything else: it's one of the kinds of ways we feel that something might not be right. ... Paul Davis On Crime: A Brit Looks At An American Crime Writer: Elmore Leonard - The Great American Novelist. Leonard's work is a very long way from the average crime novel, with its sequence of atrocity, mystery, maverick investigator and solution. He is fascinated, for instance, with the mechanics of writing, and wants his readers to share that interest. Characters investigate the textures of dialogue – "'How come,' Raylan said, 'you can't answer a question without asking one?'" (Riding the Rap.) They discuss diction in intricate detail – Foley and Buddy reading a newspaper report in Out of Sight: "'They think you may "flee the country."' 'I've had to run like hell a few times,' Foley said, 'but I don't think I've done any fleeing. You ever flee?' 'Yeah. I read one time I fled the scene of a robbery.'" I have written a couple of times that Leonard should get the Nobel. Like Dickens, he has created a world. ... Zealotry of Guerin: Wheat Field With Crows (Van Gogh). ... Jackson Pollock 'transcends time and fashion' - Telegraph. It grieves me to say it, but I think this is mostly crap. Henry/Val in the Tropics is not Henry Miller (Tropic of Capricorn, by the way, is a far better book than Tropic of Cancer). Bawdy humor seems to escape Winterson. The Miller in the books is a parody, a caricature. I reviewed a biography of him years ago. I foget the name of the book and the name of the author - a woman, and an admirably honest biographer. She admitted at the outset that she intended to do a job on Henry, but found out after meeting him that "Henry Miller was a very nice man." I believe hers is the book that relates how, when Miller learned that his wife Eve had died - and it had been a stormy marriage - he fell on his knees in his kitchen and just wept uncontrollably. As Somerset Maugham sagely observed, men are not of a piece. Blackguards can prove surprisingly sensitive at times, and genuine saints can often be mean and vicious. ... Making Time For Study | The Jewish Week. ... Faith that is known first in the body | Mark Vernon | Comment is free | guardian.co.uk. ... The modern believer is not suspicious enough. A persistent pain is a pretty good indicator of the presence of bodily damage; the feeling that you have been touched by the Holy Spirit is only a good indicator that you have had a generic religious experience, shared by many the world over, and you have interpreted it according to the narratives and belief systems familiar to you. Really? I should think "feeling that you have been touched by the Holy Spirit" would be rather an overwhelming experience. And experience trumps all theories. I would suggest that modern skeptics are not suspicious enough of pure reason. We need a new mind-body paradigm, a map that acknowledges the many kinds of things there are in the world and the continuity of evolution. We must somehow find different, more realistic ways of understanding human beings – and indeed other animals – as the active wholes that they are, rather than pretending to see them as meaningless consignments of chemicals. ... CS Lewis Rejected Royal Honor | Via Meadia. How the hell does anyone manage to get admitted to Stanford - or any other college or university for that matter - without first displaying some acquaintance with "ways of thinking, ways of doing"? 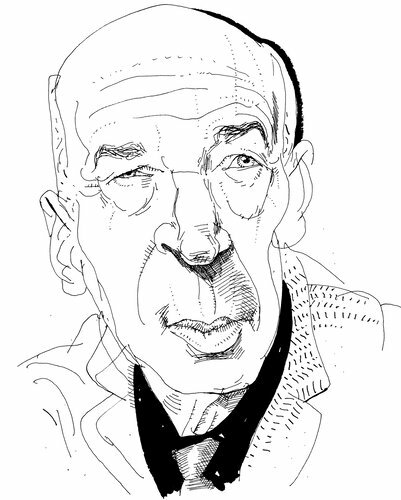 ...and Henry Miller. A new book on the topic. ... Timothy Snyder: On dissent and “the stories people tell about themselves” | The Book Haven. ... Sixteen Concerned Scientists: No Need to Panic About Global Warming - WSJ.com. ... in 1756: Wolfgang Amadeus Mozart. ... his immense talent is part of what people seemed to find suspect about him in the years before his death. Critics and writers hold the fact that he writes beautiful sentences against him, as if his writing is too well crafted, too flamboyantly, extravagantly good. James Wood wrote a decade ago, “He is a prose writer of great beauty, but that prose confronts one with the question of whether beauty is enough, and whether beauty always conveys what a novelist must convey.” Here one has to wonder about that special handbook of “What a Novelist Must Convey,” and the rules and regulations contained therein. ... Paul Davis On Crime: Book Review: 'Agent 6' By Tom Rob Smith. ... THE CRITICAL FLAME :: Issue 17, January 2012. ... James Earl Jones v. Chris Walken: A poetic Poe-down - The Globe and Mail. ... When Falls the Coliseum - Lisa reads Other People’s Money by Justin Cartwright. I am working on an article, the writing of which is not going well. I will - hack that I am - manage to deal with this eventually. But right now, things are not going well. I am annoyed with myself and the article. In other words, blogging will resume tomorrow. Writing, after all, is a job like any other. ... Has plagiarism met its match? | Drexel Publishing Group. I wrote an article having something to do with this book a couple of years ago, so I had to read a good bit of it. Given the stilted dialogue (I think I am actually being kind) you would think it would have disappeared without a trace. But, like a good soap opera, the mechanics of the narrative are pretty well done. But the key point is that, when people read a book, if the book catches them, they put themselves into it. And many people, deep down - maybe even Bryan, maybe even me - want to be John Galt - if only briefly - just to be able to cry halt to the world we live in. Ayn Rand may not have known how to write literature, but she did, on some instinctive level, know how to create myth. ... The Once and Future Liberalism - Walter Russell Mead - The American Interest Magazine. One of the main reasons Americans have been so slow to recognize the collapse of the blue model is that the language we use to discuss and think about politics tends to disorganize our stock of understanding about our own society. Millions of Americans are conservatives and even reactionaries but think of themselves as “liberals”; at the same time, millions of genuine liberals and even radicals call themselves conservative. It’s an unholy mess that calls desperately for a language intervention. ... A Story in Slang – and win a prize! - The Dabbler. The February bicentenary of the birth of Charles Dickens, then, could hardly come at a more appropriate moment in economic history, for Dickens was the revealer, the scourge, the prose poet, of urban destitution—a destitution that, in our waking nightmares, we fear may yet return. ... Ayn Rand's 'Atlas Shrugged' takes top app prize - CSMonitor.com. Most reasonable people would agree that copyright terms are too long—70 years after the author's death, per a 1998 extension—and that some laws need to be re-examined for a digital world. But William Patry, a prolific and respected legal scholar who is now Google's senior copyright counsel, takes such a dim view of efforts to protect intellectual property that he seems somewhat uncomfortable with the very idea of a commercial market for creative work. ... Nicol Williamson - Telegraph. ... Anecdotal Evidence: `Eager to Share What He Deemed Best'. ... Dante and crowds | The Book Haven. ... Wrap-up Wednesday - The Globe and Mail. ... Best American Opinion Page Essays? - BREVITY's Nonfiction Blog. While it is true that you can go into a bookstore and buy a book with cash anonymously, you are just as likely to buy one from Amazon, thereby identifying yourself as the purchaser. Even in a bookstore, you are quite likely to buy the book with your credit card. I'm as concerned over government intrusion as anyone, but I am not so sure that ebooks should be singled out for concern. ... The Breathtaking Hypocrisy of Julian Assange, Kremlin Pawn - Forbes. ... ‘Verse’ as a verb | Drexel Publishing Group. Verse and versus do, in fact, derive from the same Latin verb: vertere, to turn. But they have quite different meanings, and shouldn't really be confused. ... 2012 Sami Rohr Prize for Jewish Literature. Dave also sends along this: Short stories win their own Costa award. The problem with the Church as an institution is that its ministers are often more concerned with the Church as an institution than with the Church as a vehicle of faith. ... Excerptation | The End Of The Pier Show. 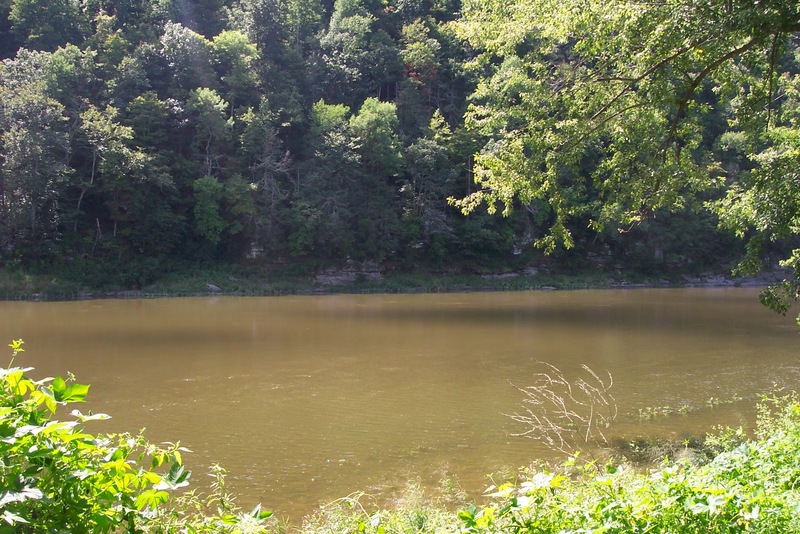 ... Project Areas - Triple Canopy. ... AbeBooks: Omnibus Editions: Three (or More) Titles in One Volume. ... Transmissions from a Lone Star: Scotland’s Bid for Independence Explained! | Columnists | RIA Novosti. ... Books, books everywhere… | Drexel Publishing Group. ... Adrian Mole recommends books for would-be writers - Telegraph. The claim that physics has shown that change is illusory is in any event seriously problematic. As Karl Popper noted, Einstein, as interpreted by Minkowski, recapitulates Parmenides. (See the essay “Beyond the Search for Invariants” in Popper’s book The World of Parmenides.) And that means that relativity, if interpreted as entailing the illusoriness of all change, would inherit all the problems with Parmenides’ position. ... at Claude Monet At Work | The New Republic. ... Monday MuseSplashes - The Globe and Mail. Who, in your opinion, would you consider the English-language speaking world's top poetic dog? Stay with me, please, since the question's a little more germane and a tad less superficial than it might first appear to be. ... Pierre Sudreau - Telegraph. He inspired The Little Prince. ... Democracy: A Funny Town for a Woman | Mark Athitakis’ American Fiction Notes. ... Théophile Gautier's My Fantoms: Then and Now, 1976 | TLS. The primary indicator of the erosion of industriousness in the working class is the increase of prime-age males with no more than a high school education who say they are not available for work—they are "out of the labor force." That percentage went from a low of 3% in 1968 to 12% in 2008. Twelve percent may not sound like much until you think about the men we're talking about: in the prime of their working lives, their 30s and 40s, when, according to hallowed American tradition, every American man is working or looking for work. Almost one out of eight now aren't. Meanwhile, not much has changed among males with college educations. Only 3% were out of the labor force in 2008. Fishtown these days looks to be gentrifying (as is my own neighborhood). I come from the same social milieu that, in this essay, "Fishtown" is meant to represent. ... Paul Davis On Crime: Belated Happy Birthday To Joseph Wambaugh. ... S.J. Perelman On Everything | The New Republic. ... Anis Shivani: Can Creative Writing Be Taught? Therapy For The Disaffected Masses. You can learn a lot from studying how your favorite writers do what they do. But you must never do it yourself. It is perfectly all right to be influenced by them, but the manner of the influence must be indirect, downright subterranean, in fact. The perfect example of what I mean is provided by Dostoevsky, who modeled his novels on those of his own favorite novelist — Charles Dickens. It is not hard to see what the two have in common, bizarrely vivid characterization for one. But to get what Dostoyevsky got out of Dickens requires that one uniquely original sensibility genuinely encounter another. It is the sort of thing that cannot be taught in a classroom or workshop. ... There are things only life can teach you, and that you can only learn on your own. Someone else can teach you how to write like somebody else. But nobody can teach you how to write like yourself. In the meantime, the debate continues: Rebutting Shivani. Maverick Philosopher: Michael Sudduth Converts to Vaishnava Vedanta! (Hat tip, Dave Lull). I should add, and I think this is very important, that I felt I was experiencing the same God that I had experienced on many occasions throughout my Christian life. However, I felt like this being was showing me a different face, side, or aspect to Himself, or – better yet – a different mode of my relationship to Him. I felt a certain validation of my spiritual journey, both past and present. I had gone so far in my Christian faith, but it was now necessary for me to relate to God as Lord Krishna. I think that one can nourish one's faith with insights and practices from others. I also think that anything that helps one to sense God's love for us and that inspires us to requite as best we can is necessarily good. Bill Vallicella has more on this here: Belief Change. You don't have a soul, Doctor. You are a soul. You have a body, temporarily. Debbie and I had to take off to Mauricetown, N.J., yesterday afternoon to attend a dinner made the Colonial way in a large, open-hearth fireplace (more about that tomorrow). Anyway, what with the snow that had to be cleaned off the sidewalk and the car, and some shopping that had to be done, I had no time yesterday to mention here that I wasn't going to be posting for a while. I've done a bit of blogging for today, but I am signing off until tomorrow. ... Forgotten Writers: Dorothy Uhnak. ... so just keep scrolling: Petrona | Mainly about reading with an accent on crime fiction from around the world. ... everything Dyer writes is a bit odd. He is a genre-jumper, pri­marily because he doesn’t believe in genres. He says, for example, that his ostensibly nonfiction book on photography, The Ongoing Moment (superb), “was much more of a novel than many of the books eligible for tthe Booker prize that year”. And he dislikes the typical nonfiction book that ­publishers love. ... Paul Davis On Crime: Charles Dickens: A Tale Of Two Centuries. ... Susan Balée reviews the latest Jo Nesbø: Evil afoot again in Norway. ... and Katie reviews Richard Burgin's latest: The scary spaces twixt men, women. ... 'Red State Religion': Why Kansas became so conservative. 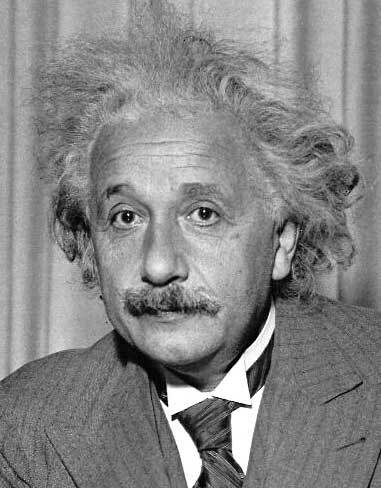 My recent piece in the Portland Book Review addressing Josef Eisinger's Einstein on the Road has been posted online. Here's a link. ... The GOP’s Philadelphia Story | The Weekly Standard. The author of this piece, Kevin Ferris, is a friend and former colleague. ... Why Geology Matters, Part 3 | Books and Culture. ... Salman Rushdie Cancels Festival Appearance In India Due To Threats. He's certainly one of the best, though I can think of some others. Harold Boatrite, for instance. More here: A good day's work. ... Would someone give Anis Shivani a nice warm cup of milk? -BREVITY's Nonfiction Blog. ... 20011: You've Seen the Movie, Now Read the Book. ... Zealotry of Guerin: Cafe Terrace at Night (Van Gogh). In "As If: Modern Enchantment and the Literary Prehistory of Virtual Reality," a historical and cultural study of fiction fandom, Mr. Saler counterpunches vigorously against the whole edifice of literary snobbery. What he has to say is so self-evidently right that the fact he has to say it makes one wonder how the critical profession has managed, for so long, to cultivate such a large blind spot. His book should be essential reading in every graduate school of the humanities. But it's much more fun than that recommendation suggests. ... AbeBooks: Books of a Feather: The Best Bird Books. ... Ben Marcus' hot novel, The Flame Alphabet,' explores a nightmare about communication. Second link is now fixed. Thanks to Dave Lull for alerting me. ...Why I sent Oxford a rejection letter! ... Real Leadership | The Jewish Week. ... Book review: Below Stairs - WSJ.com. ... Fiction, Fiction, Burning Bright—or Maybe Just Smoldering - Commentary Magazine. Before long ... it becomes clear that all children — not merely Jewish children — are causing adults to fall sick by speech and writing. As an authority theorizes, “Language happens to be a toxin we are very good at producing, but not so good at absorbing.” People begin to die. ... Paul Davis On Crime: Elmore Leonard And T.Jefferson Parker: Two Crime Writers At The Top of Their Game. ... Apple Enters the Textbook, Self-Publishing Market. ... make no mistake, while this is a breakthrough in transforming how textbooks are created and distributed, the iBooks 2 format (and iBooks authoring tool) can and will be used to create any kind of media enriched book along with the ability to instantly publish it to the iPad platform. Indeed the Apple spokesperson demoing the new product said, "Anyone who has ever been involved in creating an e-book knows that this is now incredibly easy." ... Presenting . . . The George Bowering Baseball Trivia Quiz - The Globe and Mail. ... Paul Davis On Crime: Former NYPD Detective Edward Conlon Nominated For Best First Novel By Mystery Writers Of America. Ours is a big country and we are a people possessing a multitude of different origins. If composers will increasingly strive to perfect themselves in the art of music and will follow only paths of expression that would seem to take them the true way, the matter of a national school will take care of itself. ... Motorcycles in winter | Drexel Publishing Group. ... On idiocy and pronunciation | Drexel Publishing Group. ... Anecdotal Evidence: `The Something That You Say'. My friend Vikram Johri has agreed to be a member of this blog, as you can see from something he just posted. Good to have him on board. ... Elmore Leonard’s Raylan: Justified fan fiction - Slate Magazine:FX’s Justified understands Elmore Leonard’s greatest character better than Leonard does. "Christopher Hitchens wrote in Vanity Fair, in 2009, recounting the days after the fatwa to kill Rushdie was issued: ‘In the hot days immediately after the fatwa, with Salman himself on the run and the TV screens filled with images of burning books and writhing mustaches, I was stopped by a female Muslim interviewer and her camera crew and asked an ancient question: “Is nothing sacred?” I can’t remember quite what I answered then, but I know what I would say now. No, nothing is sacred. And even if there were to be something called sacred, we mere primates wouldn’t be able to decide which book or which idol or which city was the truly holy one. Thus, the only thing that should be upheld at all costs and without qualification is the right of free expression, because if that goes, then so do all other claims of right as well.’"
... Laudator Temporis Acti: A Greek Botanical Catalogue. ... A hero emerges in Italy’s ship drama - BostonHerald.com. "But why is someone who does his job and sticks to the rules suddenly a hero in Italy?" one Internet commentator wondered. I am reminded of something J.B. Priestley says about Joseph Conrad in Literature and Western Man, namely, that Conrad is "the novelist ... of men who find themselves hard-pressed and try to do their duty." Where does anyone get the idea that doing your duty and following the rules under the most trying circumstances is not genuinely heroic? ... 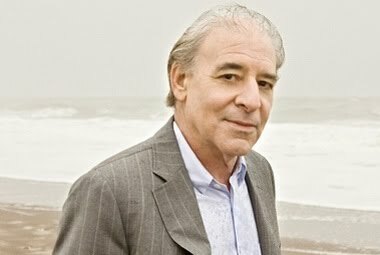 Some Programming Notes | Mark Athitakis’ American Fiction Notes. I am very much impressed by Rus Bowden's response to this post of mine, but I'd still like to hear from others as well. ... The Medieval Origins of the Bathroom Reader (Mmm… Marginalia #90) — Got Medieval. I have Graham Greene's telephone number, but I wouldn't dream of using it. I don't seek out writers because we all want to be alone. ... Dame Eleanor Hull: Winter Writing Workshop report. ... “The final dwarf of you”: late-life poems of Wallace Stevens, T.S. Eliot, and Czesław Miłosz | The Book Haven. The subject of the poet’s approaching winter holds an increasing fascination for me … well, we are all growing older. But growing older has been a great surprise – the psychological landscape and vantage points of late summer and autumn are not at all what I had been told or had been expecting. The final quotation from Milosz is astounding. ... Boston Review — Sawnie Morris: Odd One Out (Joan Houlihan). ... Sneaky slippery slopes | Drexel Publishing Group. ... Robert Vivian’s Thoughts On The Meditative Essay - BREVITY's Nonfiction Blog. Every written text belongs to its author, not to you. This proposition, I realize, is sadly anachronistic. It sounds like an admonition to thrift and chastity. It paddles against the current of the times. Michel Foucault has taught us, after all, that the author is an impediment to freedom — that he is not really a person at all (who is owed respect), but merely a “certain functional principle by which, in our culture, one limits, excludes, and chooses. . . .” Remove the author, Roland Barthes urges, and you remove all limitations upon the text. ... Do the Classics Have a Future? by Mary Beard | The New York Review of Books. ... Monopolizing the Master | Michael Anesko | Review by The Spectator. ... BOOK BOUND: ‘Images of Being’ reflects light amid darkness - Entertainment - Montgomery News. Given that God is eternal, which is to say outside of time, and that he creates the world by virtue of his thinking of it, does it not follow that the world and everything in it is in some sense eternal as well? In fact, how could he have begun to think of it, given that the term begun - like every other temporal term - has no meaning in an eternal context? A while back, Andrew Kenneally posted a piece relevant to this: God, Time, Idolatry. ... Gustav Leonhardt - Telegraph. It's a rare pleasure to read a book that's been recommended to you years ago, and to find that it's lived up to its praise. That's what's happened to me recently with W. Somerset Maugham's The Razor Edge, a novel that I've been meaning to read for - perhaps I'd better not admit this - almost a decade. I must say, I really enjoyed this book. I found the story captivating, Maugham's style refreshing, and the novel's narration compelling. 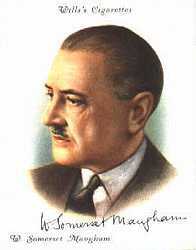 True, there are faults here (including an extended meditation toward the end of the novel on Hinduism and Buddhism), but they are outweighed by Maugham's subtle pursuit of two themes: first, the idea of success and how it is best defined; and second, the idea of patience, of emotional deferment. For me, the second theme was most satisfying, and it's clear that Maugham's narrator plays a vital role in our understanding (which evolves over the course of the novel) of what goals are worthy of patient pursuit and which are temporary, ephemeral. As I suggest, The Razor's Edge is not without its faults (nor its moments that Maugham's readers must suspend their disbelief in terms of narrative omniscience), but in the end, I found this book worthy of the praise its garnered over the years, and feel, as a stylist, that Maugham should be up there on our list of twentieth-century greats. ... Works and Days - So Why Read Anymore? An empty bar and an empty church share an atmosphere. ... Book review: Dead in the Water by Aline Templeton | Petrona. ... Gimme a brick! The T. S. Eliot Prize controversy that shouldn't have been - The Globe and Mail. Has the widow Eliot forgotten that her husband once worked in a bank? My apologies to Mrs. Eliot. As Maxine points out in her comment, Valerie Eliot has no part in this controversy. My mistake. ... Saunton Sands - The Dabbler. As it happens, I don't believe this is a godless universe. But, as also happens -- and as is often the case with me -- I have no emotional investment a to whether it is or not. I could live with it either way. In fact, the notion that we're just a fluke has much about it to appeal. No weighing of one in the balance, for instance. Anyway, I think this an engaging meditation, no matter what your position on God: "... look at the sea or the dunes and suddenly a great space has opened up between you, and in the winter the wind is so cold and loud that it blasts all thoughts clean from your head." ... Pox Pop - The Dabbler. I cannot boast Eric Partridge’s voluminous correspondence – the modern world lacks, I suggest, a sufficiency of ageing gentlemen with inquiring minds and time on their hands; and in any case, in a world of instantly available blogs, why suggest, let alone ask when one can pontificate. But I get a trickle of mails. These do ask, but even more they suggest. Etymologies, stories behind words. As often as not these stories run counter to the canon, which in etymology as published one hopes is the product of informed research. I do not wish to belittle my correspondents, I am grateful for their contact and in a world of relativism, many might ask why should my etymologies, or indeed those of the OED be any ‘better’ than anyone else’s. But better is not the point, ‘as correct as one can manage’ surely is.